Reindeer are sensitive wild animals, not props to be paraded around and used for human entertainment. Reindeer are semi-wild animals that are highly adapted to the arctic environment. They have very different needs to deer that are native to the UK and it is much more difficult to meet their needs, particularly when kept by non-specialists in small groups for use at festive events. This means having them in a busy environment, surrounded by crowds, noise and lights during a festive event makes it even more difficult. They get stressed easily and are very susceptible to many health and welfare problems when kept in permanent captivity in the UK, particularly in southern areas. We are really concerned that every year, reindeer are used across the country at festive events and exposed to a busy environment, surrounded by crowds, noise and lights, and this can cause these semi-wild animals a great deal of stress. 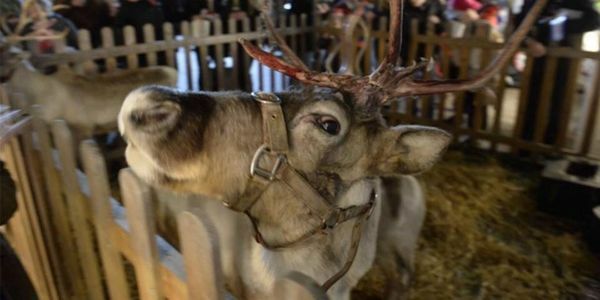 Sign the petition now to urge Michael Gove, DEFRA Minister, to change the law, to end reindeer exploitation!